1 Begin by combining the ground pork, garlic, onions, carrots and singkamas in a bowl. Mix well. 2 Crumble the Knorr Pork Cube and drop into the mixture. Or, you may opt to dissolve the Pork Cube with some hot water. Add sugar, pepper and egg next. Mix well. 3 To finish, wrap the pork mixture into lumpia wrappers and fry them in hot oil until golden brown. 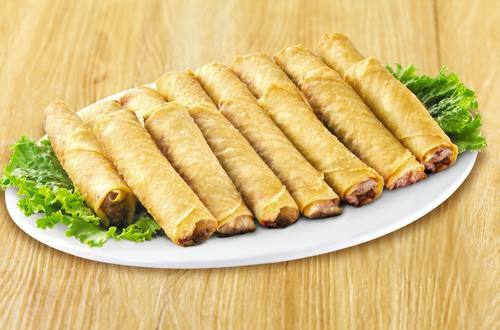 Serving Lumpia Shanghai with chili sauce or vinegar will definitely make your day. It's a comfort food on its own.